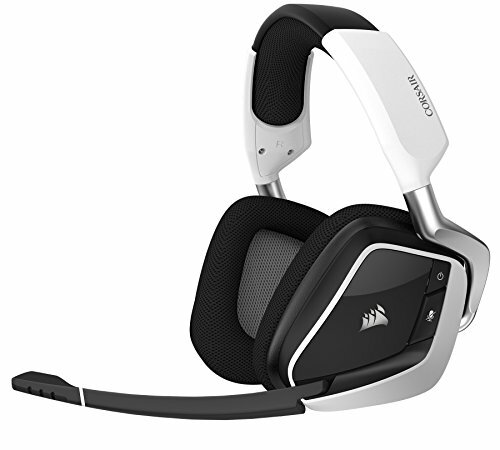 Corsair VOID PRO RGB (White/Black) 7.1 Channel USB Wired Headphones. Knocking off a several Stars. With Linux, they don't get very loud and cycle the Rainbow for the RGB coloring by default. They also required a small xorg configuration hack to get the mute button to stop it from killing the USB Mouse's ability to click (Yes weird I know). The headset is fairly comfortable but HEAVY on the head. Microphone arm is rubbery and a bit limp. Over all feel that I should have went with another Kingston - HyperX Cloud Core Headset like I got my oldest son recently. It is a much better headset from top to bottom. Experience might be completely different on Windows 10 though, but for a Linux user I would not recommend. Will post feedback about it on Windows if I ever hook it to one of their Rigs to try it that way. 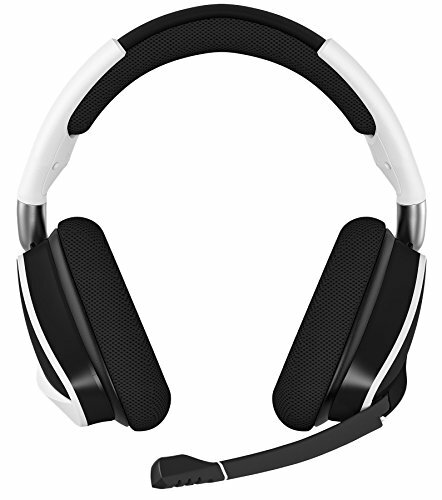 Love the look and they fit nice no cords sound is good for gaming. They're white, wireless, RGB, and work perfectly. I love the surround sound and RBG that goes with my build I absolutely love this thing and I'm satisfied, would recommend. 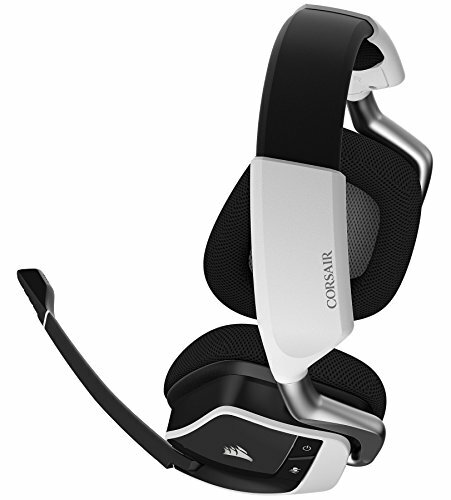 Great headset for the price. 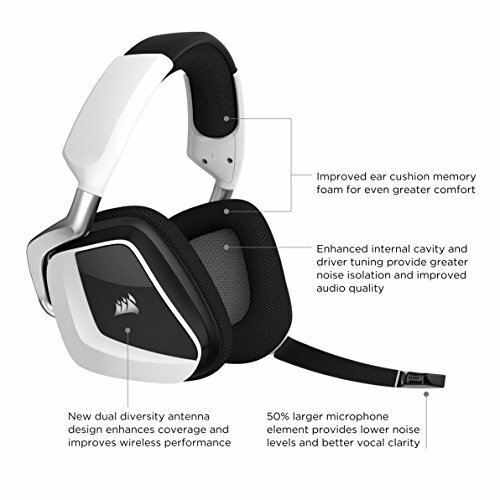 The audio quality is great and surround sound!